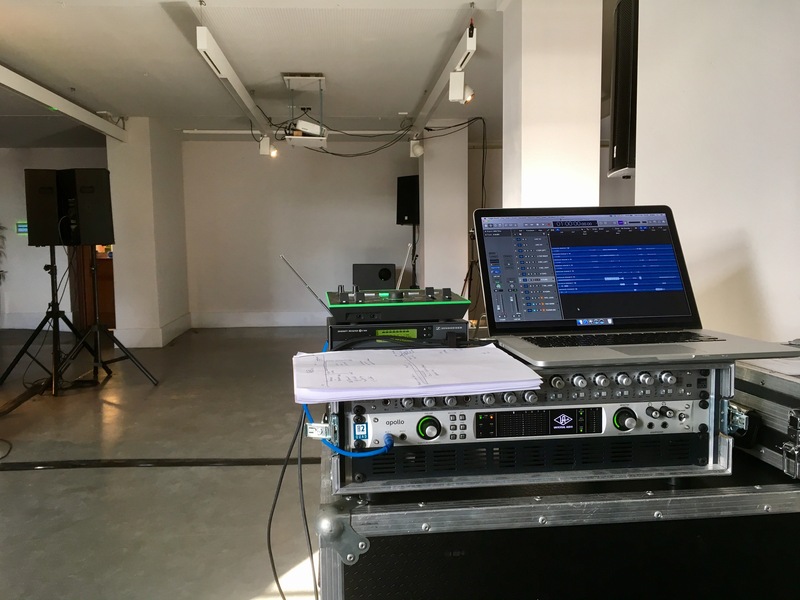 Lumen were asked by Kiff Bamford and Harold Offeh of Leeds Beckett University to provide the sound equipment installation for artist Rana Hamadeh‘s live sound play/peformance at The Tetley in Leeds, as part of the symposium ‘Performance and Uncertainty’. The performance is titled ‘Can You Make a Pet of Him Like a Bird or Put Him on a Leash For Your Girls?’. 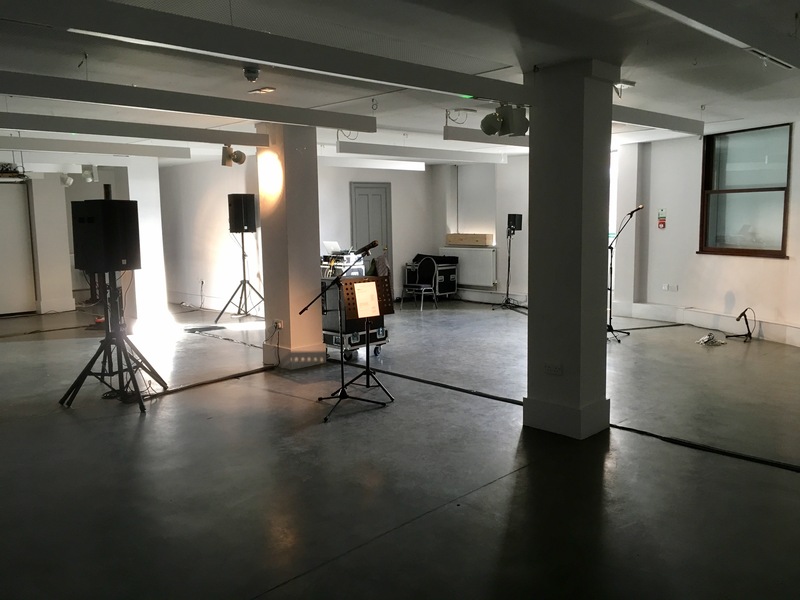 The intention was to create an immersive and almost quite harsh sound environment, utilising the whole space of The Tetley’s South Bank room. The artwork featured 8 channels of discrete audio along with 3 live microphones, played back through 8 different speakers. 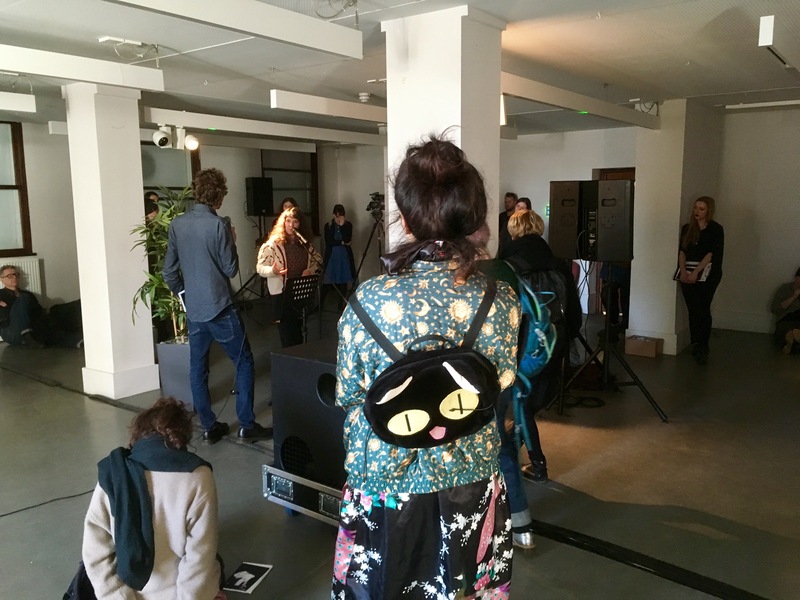 The speakers used were two large subwoofers, six PA speakers, a small speaker facing the wall and a public address horn all fed from a laptop and audio interface, with mixing by audio engineer Joe Osborne of Lumen. The performance itself was very powerful and moving, with live oration, singing and sound effects at high volumes. Earplugs were provided for the audience just in case! 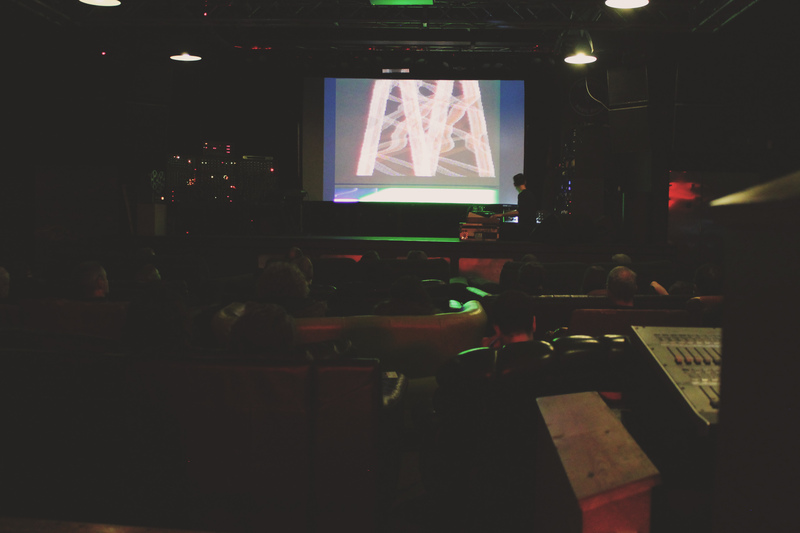 Lumen have over 10 years experience of setting up film screenings in non-cinema venues and ‘pop-up’ spaces. We have worked with Leeds International Film Festival, Flatpack Festival, Leeds Young Film Festival, Holmfirth Film Festival, as well as many other organisations and events that have film content, such as Lawrence Batley Theatre, Hull2017, Recon, Bradford Literature Festival, Vespertine, Bradford Threadfest, Art Sheffield, Other Rooms Film Festival, Opera North, Henry Moore Institute. We offer a wide range of services from full production for film events & festivals to hire of small film screening equipment and packages. We specialise in experimental film, audio/visual collaborations and unusual events in non-conventional venues. Matthew Bourne live Moog performance with interactive visuals at Belgrave Music Hall. 2016 saw the 30th edition of Leeds International Film Festival. Lumen provided 25 film screenings over 15 different venues and spaces, including short film programmes, immersive surround sound experiences, live music and live visual collaborations, Q&A discussions, documentaries and features. 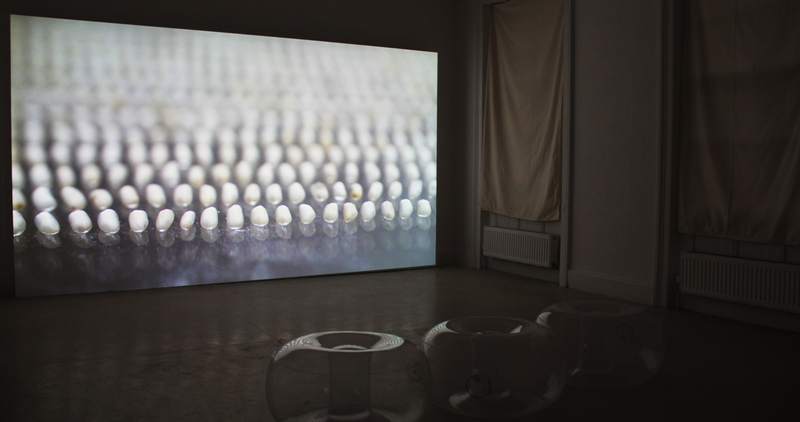 Video piece by Sam Meech commissioned by Virgin Records, projectors supplied and installed by Lumen. We work with artists and creative organisations in a number of ways. 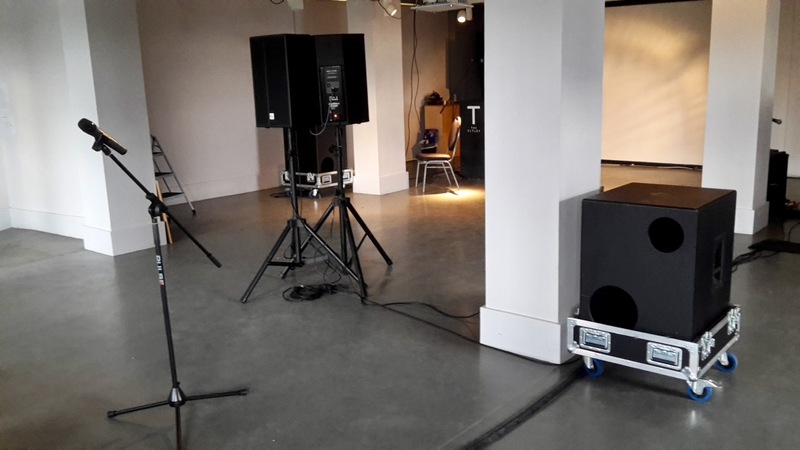 We hire out audio/visual equipment, we hire out technicians with a range of skills; sound engineers, projectionists, gallery and museum technicians and video tech. But these are services that most audio/visual companies can provide. We like to do more than this. Lumen works with artists to help develop their work. We offer consultancy to help introduce technical planning at an early stage, to try and imagine what something might look like, or sound like, and how that might be achieved. We offer hands on support for artists to help them create their work, teach them how to capture sound or edit video, so that next time they might have the skills to do this for themselves. Lumen does not have shareholders, all of our staff are paid the same wage, a fair living wage, and we make collective decisions about how our organisation operates. Profits our company generates are invested in our equipment, people and resources. This means we can try and keep our hire prices below commercial rates and offer discounts to any creative / arts organisations or individuals. 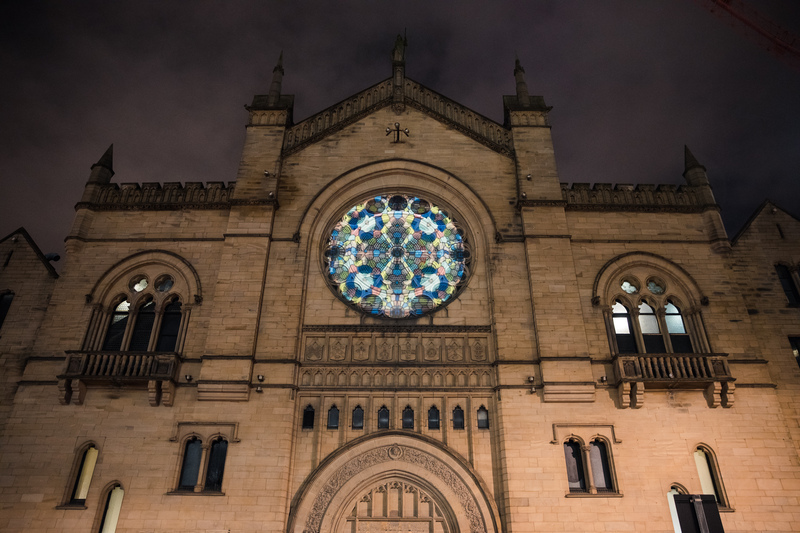 In conjunction with Opera North’s epic presentation of Wagner’s complete Ring cycle, a new sound and film installation by artist Emma Critchley comes to Leeds Central Library from Monday 16 to Thursday 26 May. Commissioned by Opera North Projects, The water sinks down with them is an immersive installation that holds the evolution of human consciousness within the walls of a specially-designed room in the Library’s new art space, Room 700. The fact that the Ring starts and ends in water is central to my response with this work. It’s an exploration of this Wagnerian idea of a pre-existing cosmos in which human consciousness takes form. The water is primordial and evokes an expansive sense of time, before and after our own existence. 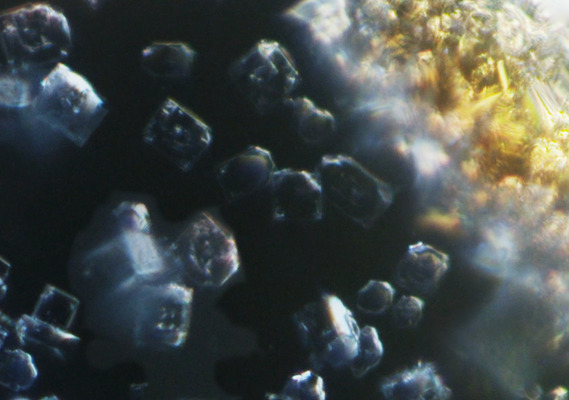 Through the film a timeless, ever-changing space unfolds that seems at times colossal, at others microscopic. It’s been a steep learning curve – I spent Christmas getting to grips with recordings of the cycle and the libretto translations, and reading around the myths and the philosophy that fed into Wagner’s work. The water sinks down with them opens in Room 700, Leeds Central Library, from Monday 16 toThursday 26 May. Emma Critchley will give an informal artist’s talk in the exhibition space onTuesday 17 May from 5.30pm to 6.30pm. Admission is free and no booking is necessary, but space is limited so early arrival is recommended. 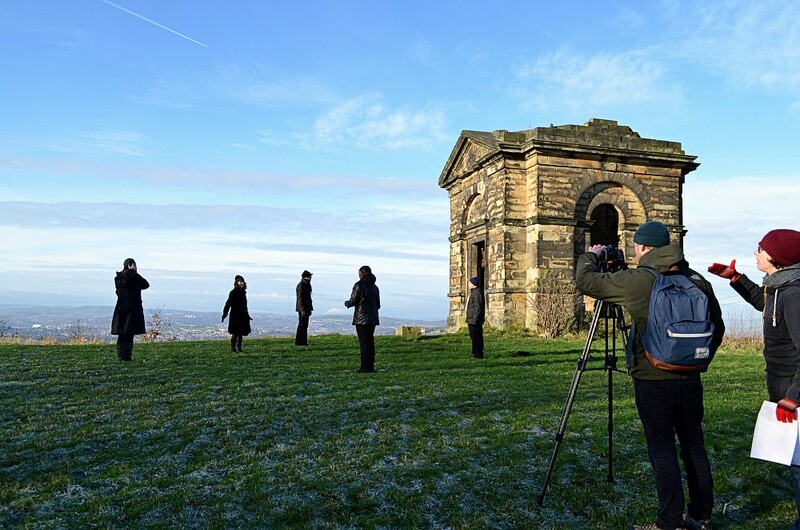 The installation will accompany Opera North’s Ring cycle on tour to The Royal Festival Hall, Southbank Centre, London (Friday 24 June to Sunday 3 July) and the BALTIC Centre, in association with Sage Gateshead, from Friday 8 to Sunday 10 July. Admission at all venues is free, with no booking required. 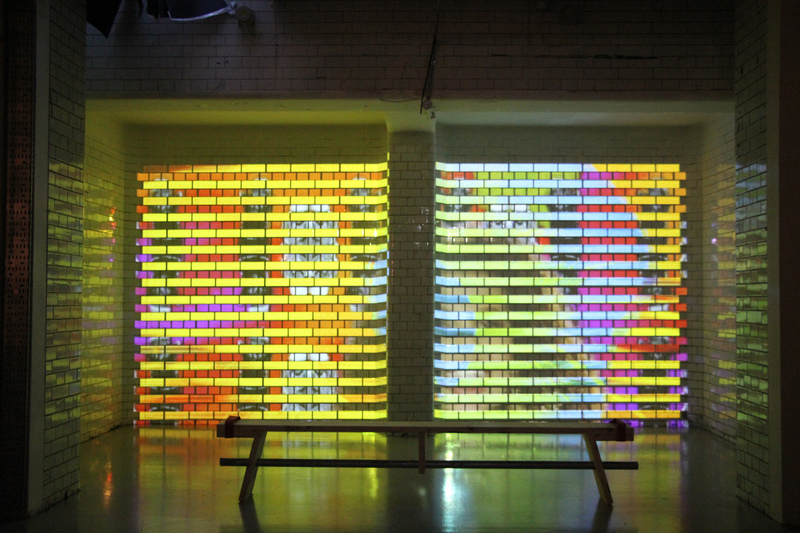 Video installation by James Islip at Lumen, projection equipment supplied by Lumen. Towards the end of 2015, our technical team has been working with artist Katrina Palmer and the Henry Moore Institute on their new exhibition ‘The Necropolitan Line’. 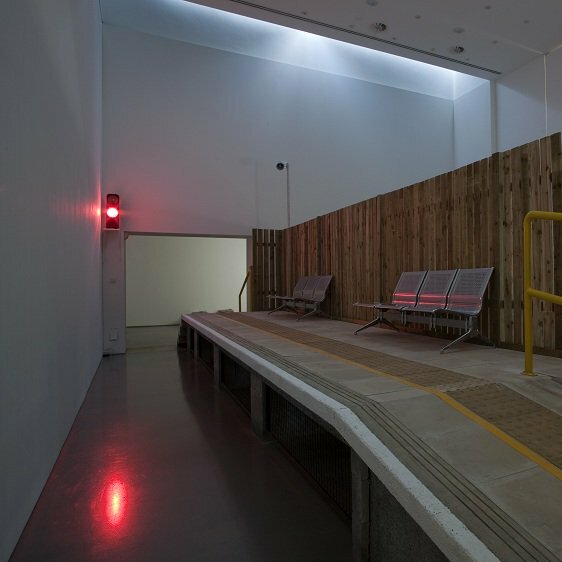 Our role within the project was to understand the sound aesthetic that Katrina wanted as part of the exhibition, and then help design and install both the physical and audio elements within the gallery space. The exhibition is currently open and runs until February 21st 2016. For more information about Katrina Palmer and ‘The Necropolitan Line’ look here. Thanks to Katrina Palmer, the team at Henry Moore Institute. Lumen requires a highly motivated Audio-Visual Technician to support our Autumn / Winter 2015 events calendar. The AV Technician will be highly organised, reliable with a background of working with projection, projection-mapping, audio, gallery installation & live events. Tenure: Temporary contract from October 1st to December 31st 2015, with a view to a permanent contract for 2016. Start date: October 1st 2015. Hours: 30 hours per week. Hours are flexible as required to fulfil the tasks of the post, including weekend and evening work. Additional hours may be required for which overtime is payable. Deadline for applications is 5pm, September 1st 2015. – Good understanding of arts presentation, with excellent production standards. Lumen is currently based in offices in Holbeck, Leeds. This role will be predominately be based out of the office delivering events, mainly within Leeds. Occasional travel may be necessary for this role. Candidates should be willing to travel regionally and nationally as required. Lumen are very proud to support ‘Follies of Youth’ – a new exhibition presented by Pavilion at The Hepworth Wakefield. The show is open from April 2nd until May 31st and there is an opening event on Thursday 16th of April. See Pavilion’s website for details. Lumen have provided audio-visual equipment for the show, including one of our brand new DLP 7,000 lumen 1080i projectors. ‘Follies of Youth’ features work by Ruth Lyons, Giles Bailey and Amelia Crouch.